Disclosure: I received Fitbit cover bands after making a purchase of Magic Bands cover bands. I did not receive compensation for review; all opinions are my own. Note: Giveaway now closed. Winners: CATHLEEN KING – you won the Mickey Mouse set, and BECKY GINTHER, the Donald set is yours! Please email me at KHIGUCHI at GMAIL dot com with your mailing address and I will get your prizes out ASAP! A little over a year ago, I purchased a Fitbit Flex and have been tracking my steps ever since! 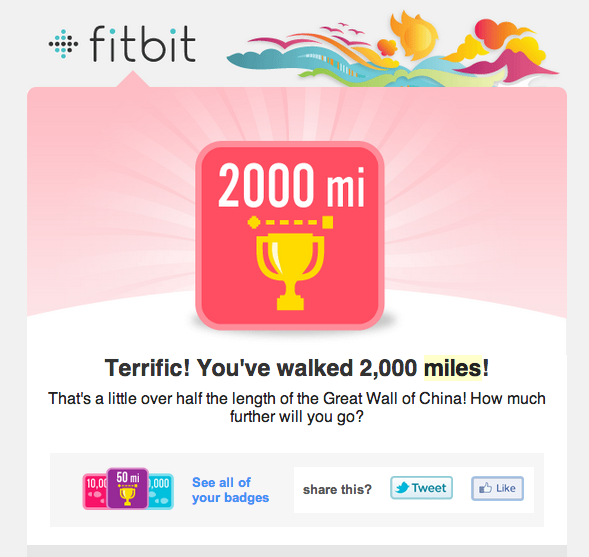 I love the little messages of encouragement, competition against Fitbit friends, and just this month, I earned the 2,000 lifetime miles badge, which was really cool! In the 13 months of owning the Fitbit Flex, I’ve added a few accessories to the mix – namely, two more wristbands (a second black band and an extra pink band) and a new charger FOB (Dug thought it was a nice snack). While the nondescript look of the band is good to blend in for more professional or business settings, I was looking for a way to personalize/accessorize the bands for casual wear – and today, I’m excited to share this fun find: Cover Bands! Cover Bands are the brainchild of DVC Central owner Morgan Crutchfield, and are designed, created and produced in the U.S.A. Originally offered exclusively for Walt Disney World’s new Magic Bands, DVC Central recently released a new collection of bands customized especially for your Fitbit! Now, you know me and my love for the monorail – so that was definitely my first pick when it came to choosing my first collection to check out! Of course, I had to coordinate my Magic Band and my Pink Fitbit band with their respective pink monorails 🙂 I think they look great! 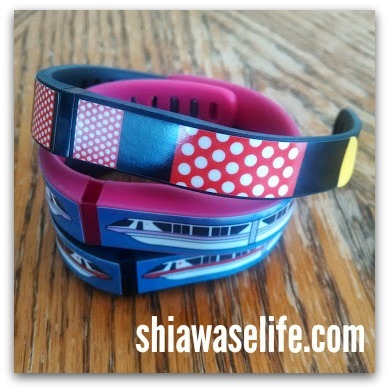 Next up, I had to c hoose how I’d accessorize my two black Fitbit bands – so I went with another monorail favorite (a classic red) and a coordinating band to match with my main mouse, Minnie! I decked out my other Fitbit bands with another monorail, and, especially for my next visit to the Magic Kingdom, a tribute band to my main mouse, Minnie! While the cover bands are definitely a fun and affordable (just $4 for Fitbit cover bands, $6-10 for Magic Bands cover bands), they’re surprisingly durable (they’ve stood up to the test of both sweaty workouts and drenching showers) and they’re easily removable, too! That’s right – you can peel them off, adhere back to their decal backing, and swap with others. The surface of the decal is smooth, and I have not experienced any peeling or sliding. 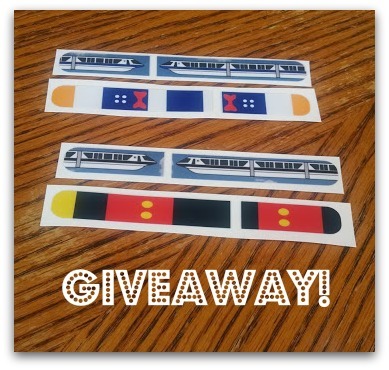 Since I really liked the idea of a “pairing” of characters and monorails, I thought I’d bundle two collections of Fitbit cover bands for a fun giveaway! Two lucky winners will receive a set of Fitbit coverbands – I’ve paired them as (1) the Duck/Blue set, and (2) the Mouse/Black set, each prize an approximate $8 value! The giveaway begins today, Saturday, May 24, and closes next Saturday, May 31, at noon! I’ll be picking two winners, by random and announcing on the blog that afternoon. You may enter for one or both sets. 1. Leave a comment on this post telling me which set you’d like to win. If you would like to win both sets, leave two comments, one for each set (1 entry). 2. Share this post on the social media platform of your choice – and come back and leave a comment here telling me where you did it (1 entry for each share). 3. Peruse the Cover Bands site and tell me what your favorite band is, here in the comments (1 entry). 4. Leave a comment here and tell me what design you’d create for a Cover Band (1 entry). 5. Pop on over to the Cover Bands Facebook Page and give ’em a like (1 entry). I would love the monorail and mickey mouse set! 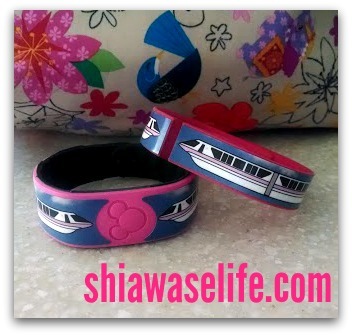 I love the monorail and mickey set too. I’d create an Olaf band for Christmas time! I would like to win the monorail. I would also like to win the Micky Mouse. My favorite band is the Fab Five Cover Band Set. If I had to design I would create for the Cover Band I would put every single disney character on it. I would also like to win the Mickey Mouse set! 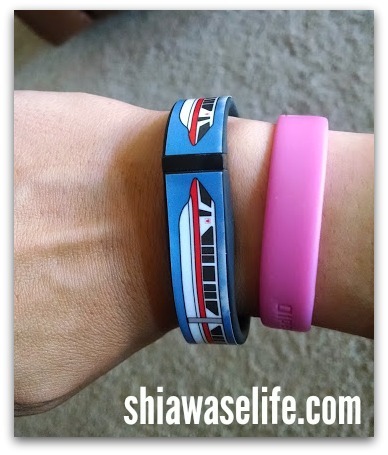 My favorite for the fitbit is the monorails – but I love the Tangled one for the magic bands! I would love to create some Beauty and the Beast themed cover bands! Liked cover bands on facebook! I would love to get the Mickey set for my Fitbit! I love all the Princess cover bands! The one for PHM was pretty cool too! If I could create a cover band it would be a runDisney one. 🙂 Also villain ones would be awesome! Also, “liked” them on FB!